The European Union and Russia have an interest in working closely together on a number of issues of mutual concern and should try to narrow their differences on other dossiers through an open and frank dialogue, High Representative Federica Mogherini said today. The High Representative did not hide the fact that there are areas of disagreement between the EU and Russia, not least the conflict in eastern Ukraine and Russia’s annexation of Crimea, but underlined that the two sides had exchanged views on how they can move forward on the implementation of the Minsk Agreement. “We believe in the European Union that it is even more urgent to do so after the death of one of the OSCE monitors yesterday in the east of Ukraine,” she said. 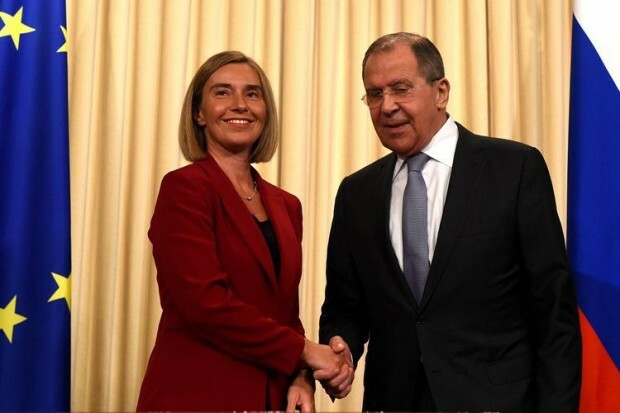 Mogherini and Lavrov discussed a number of issues where it is important for major powers to work together, not least Syria, Libya, the peace process between Israel and Palestine, the nuclear deal with Iran, denuclearisation of the Korean Peninsula, the peace process in Afghanistan, and global responsibility-sharing when it comes to managing huge migratory flows or the work to implement the Paris Agreement on climate change and the Sustainable Development Goals.